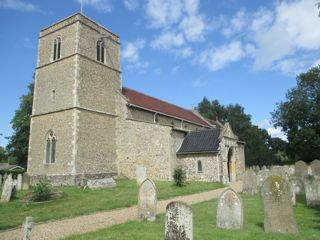 This is the church where James Woodforde was the incumbent for many years. The diary that he kept has been a valuable source of information about daily life in the 18th century. Part of it was published as Diary of a country parson. www.parsonwoodforde.org.uk is the website of The Parson Woodforde Society and that is where you should go to seek further information. The GPR holds 40 grave and 79 person records for the interior monuments. There have been 16 requests for photographs from the interior monuments.